Greetings friends and fellow crafters, LeeAnn here with Creative Vision Stamps. Most people do Christmas in July, well I decided to do Christmas in June and July, so every other post this month and next will be using the Christmas Tags Foilables sets. For this project I used the "Let it Snow" from the Christmas Tag Foilables. I used Razzle Dazzle Foil. 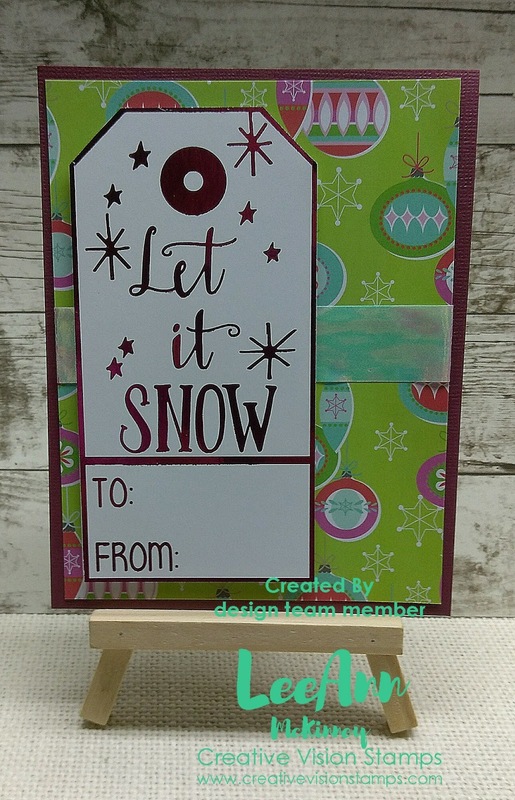 The background paper is from the Penny Black 6"x6" Festive & Frosty paper pad. I thought the purple in the baubles in the background went well with the Razzle Dazzle Foil.